Yesterday I finished what I started seven weeks ago here in Boston: a new seminar on innovation. After several weeks reading and researching in the Harvard Business School Library, and a few more weeks developing new slides, the new seminar is ready to be given. It's a 2-day seminar, but could be adapted to a 1-day seminar or even to a 2 hour conference. How to get your business model in shape. What’s going on the market? The challenge to shift the focus of the company towards innovation. The cruising speed of the History is hastening and managers should be able to deal with instability and high competition. 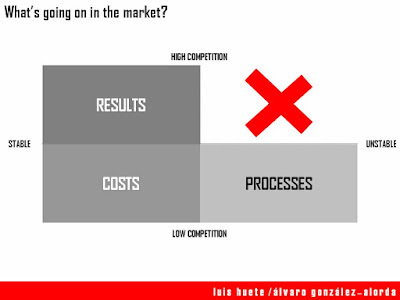 3 step process to predict industry changes. How to start an innovation process within your company. Why leading companies usually don’t cope with disruption. 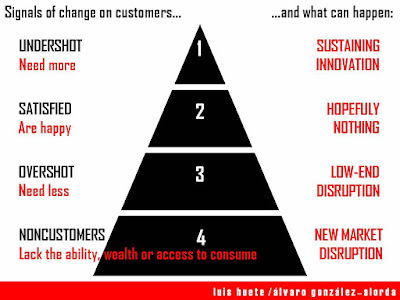 The 4 pillars of a business model. Dealing with a polarized market. The vertical and repetitive evolution of the markets. 3 step methodology to design a new value proposition. The challenge to describe the value proposition in less than 30 words. How to reach differentiation by drawing a new value curve. Mastering design as a powerful differentiation tool. What happens in the cerebral cortex? The difference between thought and verbal language. 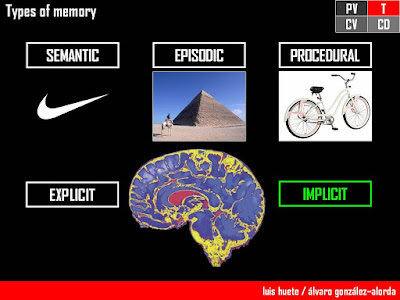 The journey from the experience with the brand to the conscious memory. Reviewing the traditional marketing research tools. 6 proposals: segmentation, the right questionnaire, listening to clients, online conversation, ‘consumer safari’, database analysis. How are my salespeople spending their time? 4o inspiring ideas in retailing. Economies of scale and the natural size of the company. The disintegration of the value chain. Advantages and disadvantages of integration and a modular architecture. 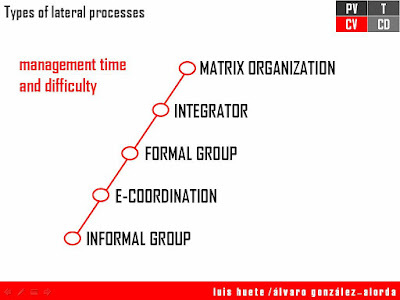 Designing the organization trough the 5 star model. · Strategy: finding direction, vision and focus. 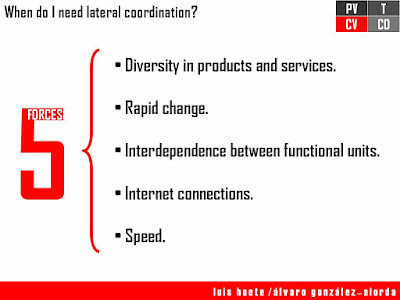 · Structure: specialization, shape, interdisciplinary teams, power and departmentalization. · Processes: vertical and horizontal. 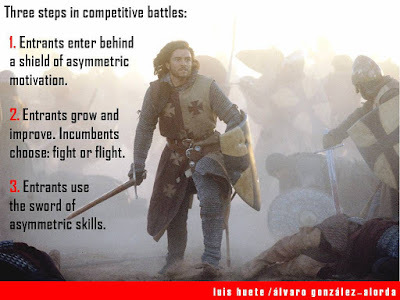 · Rewards: reasons why, skills, systems and goal alignment. · People: recruiting, training, development and rotation. 10 characteristics of high potential professionals. When do I need lateral coordination? 7 tools and ideas for conflict management. The keys to transformation processes. 10 recommendations to start a process of change. He tenido el placer de asistir al seminario que has impartido hoy 13/12/2007 en Fundesem. ¡Enhorabuena por el seminario!. Me ha gustado mucho el enfoque que le has dado, empleando multitud de ejemplos de la vida cotidiana, fotos, videos, música, anécdotas ... que sin duda ayudan a los conceptos que has explicado sean difíciles de olvidar.